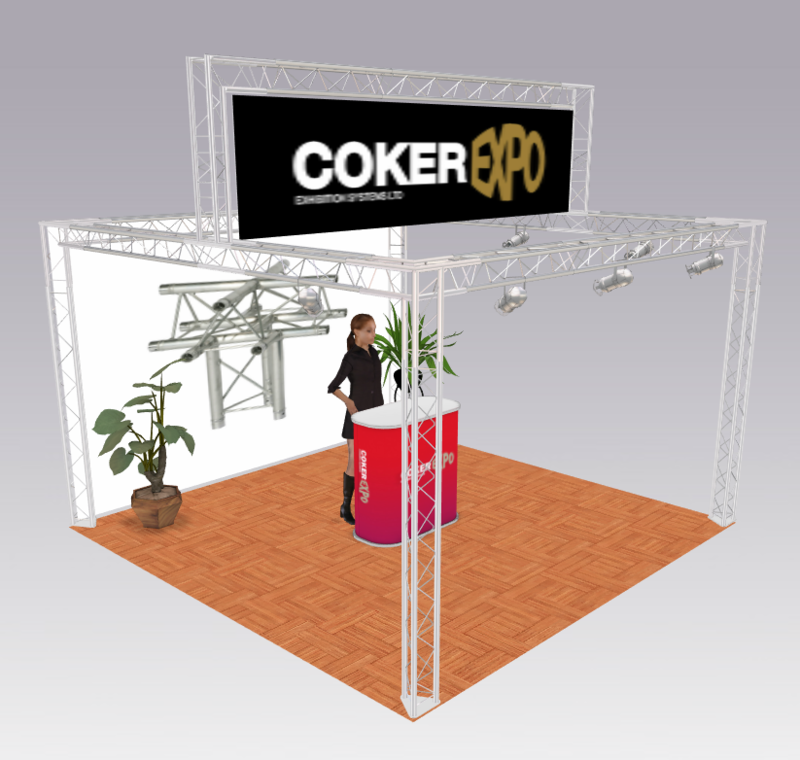 An attractive exhibition truss build with a unique up and over top banner style header area. Ideal for promotional and advertising banners, make sure you brand stands out across the venue. The gantry completely disassembles making it highly portable, user friendly and easy to store. A triangular truss system packes down well, taking far less volume than a quad truss system. This particular trio truss build measures at 3m x 2.5m x 2.5m high. The additional header stands at 3.8m high. For more info please contact us.